For what it’s worth, I wish people would shut the f**k up about Dublin getting larger grants. A quarter of the population live in that county. If they weren’t receiving an exceptional percentage of overall funding spend, it would be wholly unfair on people born in Dublin, and would be detrimental to the GAA’s grassroots policy of “get them involved with their club early, get them involved for life”. This is NOT a modern GAA problem. This one rolls all the way back to 1884, when the core constructs of the Association were founded upon the well-meaning and identity-building - but fundamentally imbalanced - partition of jurisdictions according to county lines. 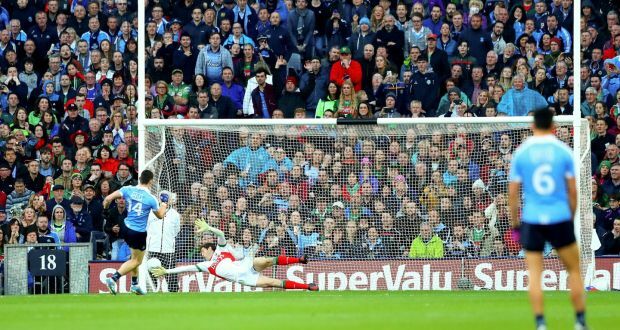 It just so happens that Dublin have come across a golden generation of players at the same time that social media has enabled every dimwit across the land to have an opinion, and to drumbeat the populist narrative. The Dublin dominance issue will fix itself in a couple of year, except the dimwits in 10 years time will then be yelping about how the GAA needs a strong Dublin. Fundamentally, where the suits need put in order, is this. 1. Core values of community and volunteering need stamped on their foreheads, sent as daily reminders, typed in 10 foot letters at the top of every letter or enail they read. Every decision they make needs to be evaluated against how it improves the Association for communities and volunteers. If it doesn’t help them, don’t proceed..
2. Strategies, annual budgets and forecasts should focus on minimising expenditure, and not maximising revenue. This concept does not rule out large infrastructure projects or a commitment to coaching; as both provide advantages to members. But it should minimise the desire/need/will to collect pits of cash and then decide what to spend it on. The purpose of this organisation should never be to gather money. I think you are missing the point here. The development grant(s) are not dished out to counties but per individual player. Going by the last published figures I know of, (2010-2014) Dublin got over €274 per individual, regardless of status.By comparison each Mayo was paid €22 (or thereabouts) and Kerry got the princely sum of €19 for every player they had registered. For the record, Dublin has easily the lowest participation rate of any county in Ireland. Here I am talking about active participation as players or supporters. No rocket science involved here- say Dublin play Longford and 50% of the population of Longford turn up, whereas it would be unlikely that Dublin would bring anywhere near 5% of its population along. Which county would have the greater support at the game? Lots of apples and oranges there Lar. Sorry Hound, I couldn’t respond sooner than now. I don’t doubt your word and if the info you posted is relevant in some way to the discussion in hand, I’ll take your word for it. But, for the life of me, I can’t make head nor tail of what these stats mean! I take it that it’s the General Development Fund’s grants to primary schools. Now, who got the money, the principal or a particular GAA club? Was there specific conditions attached to the payment of these grants? I am going to assume that the dosh was given to some club or other and from there on, it was (is?) up to the club to devise a training schedule to qualify for the money from the GDF. Otherwise, I cannot see how the scheme could operate. Farr will tell you that no school principal could allow any outsider to dictate school policy with regard to activities of any sort during school hours. So, who gets the money and what are the duties /requirements to qualify for the it? I was heavily involved with primary schools GAA for decades in Finglas and I had (still) have excellent relations with the Isles. They were the first club I heard of to begin sending young players out to schools in the area to help coach kids after hours and, in some cases, they assisted schools in fielding teams for competitions but , again school policy wouldn’t allow a complete takeover of anything to do with the school by anyone who could be termed an outsider. Insurance complications involved otherwise. Now, with three teachers heavily involved in pushing Gah games within my school and with every possible help from the Isles there was never a pickup of more than 5% of pupis who stayed with the club after they left the school and moved n to secondary level. What I am leading up to is that allocating cash for kids who are not going to be of any use to the GAA after they leave primary school is a bit daft to me. My county allegiances is one thing but I am a Gah man at heart and I’d love to see kids everywhere playing the native games but I don’t see any major increase in participation in any clubs or schools I am aware of. and just because a school has a big number of pupils doesn't mean they are all getting coaching by the county board provided coaching hours. eg in our county all the coaching hours given to schools are focused on the junior and senior infants and fundamental skills (I personally think this is the wrong age group to be funding coaching for) for usually a six week block. So 75% of the pupils in the school get no contact time with a GAA coach. Whereas in Dublin the coaching model is different and much more on getting the kids out playing the sport and down to the local club, which is a much better model. Fair enough, I can follow your meaning but it doesn’t answer the questions I put to Hound. Originally, I was referring to the row that kicked off the Dublin, GAA and Money (or whatever) thread. The infographic URL posted around post #5 or 6 was what I considered the actual report. Until Hound put up the one we are talking about now, I had never heard of its existence and I still don’t see what relevance it has to GDF initiatives to promote coaching to any children, boys or girls. If, as it appears to me, the money is given to local clubs and is based on the numbers of school children in the area, then Dublin must be even more in front of the posse than I thought. That just cannot possibly be the case. Anyway, on a wider issue, is there any way of keeping tabs on central funds given to clubs for GD work? Is there any degree of accountability or scrutiny involved? They are actually treated as a separate region for development funding in Leinster. The infographic is simply the games development funds by county divided by schoolkid in the county. The GPO's in Dublin are funded 50% by the GAA, and 50% of their time is spent with primary schools. Some people may think this is a waste, but the aim is to increase participation, to get that 5% in Finglas up. And remember the GPO is teaching basis football and camogie to girls just as much as football and hurling to boys. Wish Dara Ó Cinnéide and Paul Rouse were running the GAA. In all seriousness though they’re the type that of people we need to steer the ship now, the GAA will remain on the same course it’s going if the same type of mindset keeps getting to leadership positions. Hound - I'm going to look into this further because if it is true, and a club that can come up with €14k will have the rest funded by the GAA, my club will have a full time coach next year and I can guarantee that. I'm not trying to win an argument - I'm genuinely interested. If you have any further information on it please PM me with it. No it isn't true. The 'GAA money' in the 50/50 split comes from the Dublin coaching & games funding. Dungiven are in the process of appointing a full time GPO and have to fully fund it themselves. Fair enough, Hound. So, I can take it that half the funds per county comes from central funds and the rest is up to each county board to come up with. Correct? For starters, I can’t see many counties being able to come up with the sort of cash needed to pay the price of a bag of crisps and a lollipop for every child under its jurisdiction. Anyway, if the cash is there, will it be allocated to coaching children who actually attend sessions? In Ballyfermot, you’d be lucky to find 8% of primary pupils who’d be arsed to attend more than a couple of coaching sessions. In Ballyhaunis, the figure could well be 80%. If a fixed amount per kid is paid, then clubs in Ballyer stand to get an awful lot more. I must be missing something or other. “................... Shane Mangan has tweeted a number of fascinating graphics which put the Dublin investment in stark relation to the level of investment in other counties. Meh! Stuck up the wrong graphic. The one above just gives the no. of registered players per co., not the amounts of grant money doled out. That's my understanding Seanie. I don't know it for a fact, and I don't know if €14k is the right figure, just that it's 50% of the coach's salary. If it's not right, well I can't see any argument where it could happen in Dublin and the other Leinster counties, where a club(s) is prepared to fund 50% of the cost of such a coach (on the understanding they'll spend 50% of their working time with schools and 50% with the club) and GAA will fund the other half, that it shouldn't also apply to any other club(s) in the country who's prepared to raise the funds. Now, the new Director General Tom Ryan said recently that in fact the GAA funds the whole cost of the nearly 100 full time coaches that are in Leinster, not just the 50% that Dublin clubs get. Turns out that was BS. The clubs in Leinster apparently contribute the 50% the very same as the Dublin clubs. So it seems it's not easy to obtain correct information!! I'd love to know where the 100 full time coaches in Leinster are. Majority of schools coaches in this county are part time. There's definitely a bit of a dark art to it, which immediately makes everyone suspicious, and rightly so. It allows people like McKenna to pull out figures to justify their viewpoint and arguably me to do the opposite, and thus it's hard to find a reasoned approach to it! I don't know if the Games Development Funds totals in my infographic relate just to the coaches, or whether there's other costs in there too. It's only the cost of the coaches where the clubs have to come up with 50%. The €1,463,000 for Dublin, divided by €14,000 per coach (if that's the right figure, but it can't be too far wrong) would equal 104 coaches. Maybe there is, but I didn't there was quite that many coaches in Dublin (approx 90 clubs, a few have 2, but a few others club together for one between them), so there might be some other funding in there too, but the vast bulk of those funds would be for coaches and would be backed up by club funds. Is it allocated just to kids that turn up? 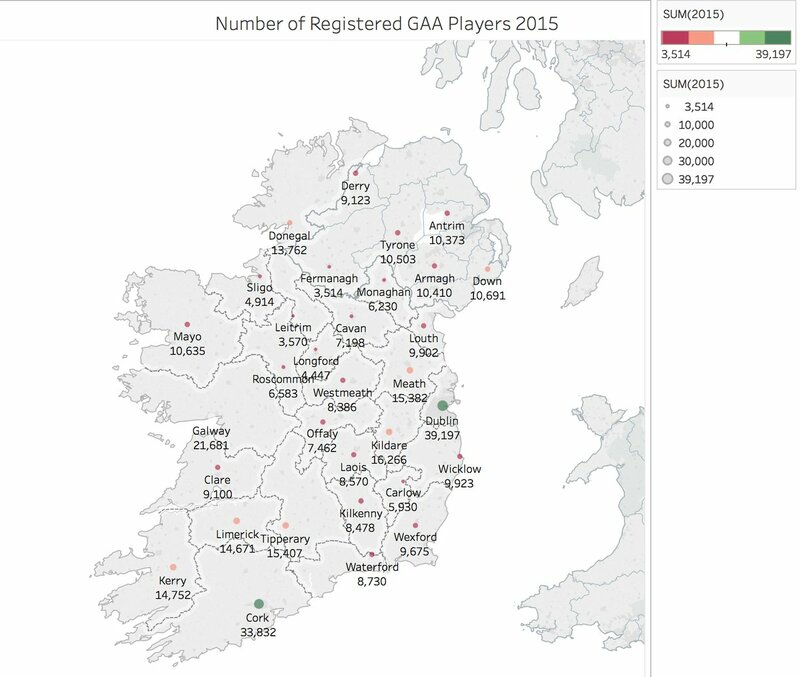 The 50% covered by the GAA is allocated to time spent in primary schools. So the coaches take PE lessons in school. The vast majority of schools won't allow opt out of PE, so every boy and girl will attend and get a taste of football and hurling. The 50% funded by the club relies on who turns up at the club. Now when Spewan is highlighting the discrepancies between Dublin and Leitrim, he adds 12 years together and divides by club member (€457 vs €193 in his latest piece). Bringing it down to an annualised cost his figures show that on average the Games Development Fund works out at €38 per member per year for Dublin and €16 for Leitrim. But these funds are clearly aimed at non-members as well. Trying to encourage kids to get into GAA. So it's completely disingenuous to divide by club member, when it's every child in primary school who is getting the benefit of the 50% funded by the GAA. So my infographic showing €10 per primary schoolkid in Dublin compared to €35 in Leitrim is fairer. Maybe it should be a combination of the two. And if there are no coaches in Leitrim, I have no idea what the €131,000 they got is actually spent on. I will also repeat that these coaches don't touch the likes of Brians Fenton and Howard. Anyone involved in Dublin club football will know that it's the work of the members and parents that drives the coaching from U10 up. But there's probably a point in that if we weren't getting so much in GDF we'd have to consider funding it ourselves, thus leaving less in the coffers to fund the senior team, etc. why aren't the teachers doing PE? This is only available in Dublin. The other 50% to match a club's investment in a GDO is supplied by DCB - which comes from the coaching and games budget granted centrally by Croke Park. Most other county boards have since lobbied for the same model of support unsuccessfully - the reasoning being that Dublin is different because of it's strategic importance to the GAA. By the way, Dublin's Coaching and Games grant goes up every time one of their clubs find the money for 50% of the salary of another GDO - Croke Park have guaranteed the match funding approach so the other 50% gets added automatically. Yes - that has been my understanding because I looked into it and I know others have done so. This alone is a massive unfair advantage to Dublin. I understood the rationale for additional support for Dublin (and in fact I agreed with it) but I think now the same support needs to be extended to other counties. The still get PE off the teachers mostly, but the teacher gets a free class when the GAA lad arrives for a session for their class. My kids went to the very same school I did and the standard of PE I got was miles better. Often 30 kids standing around in a hall waiting minutes for a ball to be thrown to you! Or a small beanbag so everyone had a good chance of making a catch!